SARATOGA SPRINGS, NY—The Saratoga Heritage Area Visitor Center’s Mitten Tree Program is celebrating another successful year of giving! The program is a holiday tradition at the Visitor Center, during which we invite the local community to donate new and handmade hats, mittens, scarves and cold weather wear to hang on our seasonal tree. In early January, all donated items are sorted and distributed to regional charitable organizations that supply those in need. 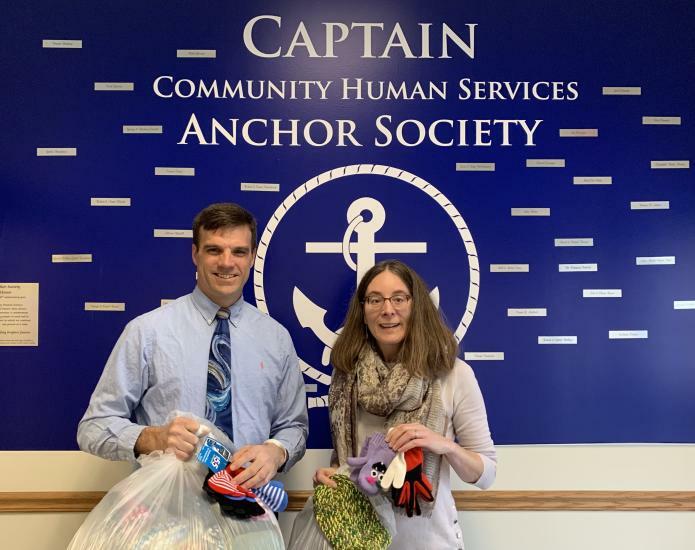 This holiday season, the program collected 350 pieces of winter wear, and these items were distributed to four locations: Captain Community Human Services, Franklin Community Center, the Greater Galway Food Pantry and Shelters of Saratoga. The Visitor Center ‘s Annual Mitten Tree Program began in late November and ran through December. 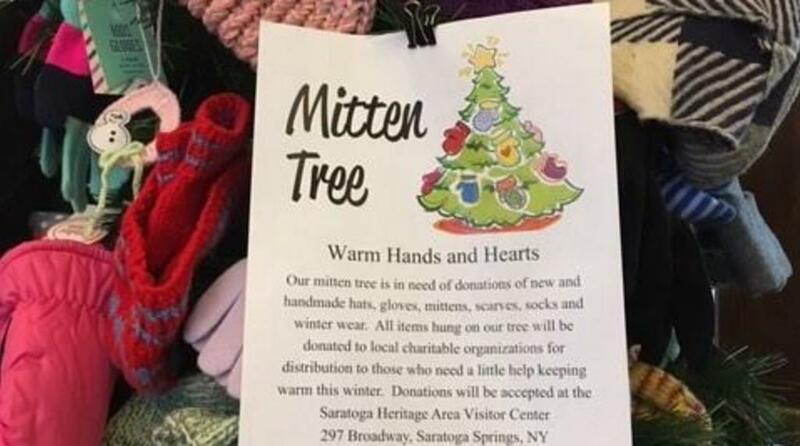 Participants placed their donations on the official Mitten Tree in the Saratoga Springs Heritage Area Visitor Center at 297 Broadway in Saratoga Springs. Facility hours are Mondays through Saturdays, 9 am to 6 pm and Sundays from 10 to 3pm. For more information visit, www.SaratogaSpringsVisitorCenter.com or www.DiscoverSaratoga.org. Saratoga Convention & Tourism Bureau and Saratoga Springs Heritage Area Visitor Center’s key mission is to contribute a positive impact on the local economy by promoting Saratoga Springs and Saratoga County as a world-class destination. At the Visitor Center, our friendly staff is available to answer questions, provide referrals, and share a wealth of knowledge in addition to travel and attraction information.